Oakcreek Community was completed in 2012 and all 24 of our 1- and 2-bedroom homes homes have been sold and occupied for 5 years. Two 2-bedroom homes are available for resale as of September 2017. One is 2 BR one bath and the other is 2BR one and one half baths. This senior cohousing neighborhood is for adults 55+. We have a beautiful 7+ acre- treed-lot in the center of Stillwater in close proximity to retail and health facilities. Oklahoma State University and all of the academic, sport, and cultural activities of a major university are within 1 mile of the property. Walking/biking trails and Boomer Lake are within 1/4 mile. Our homeowners are a mix of retired and not-retired, singles and couples. 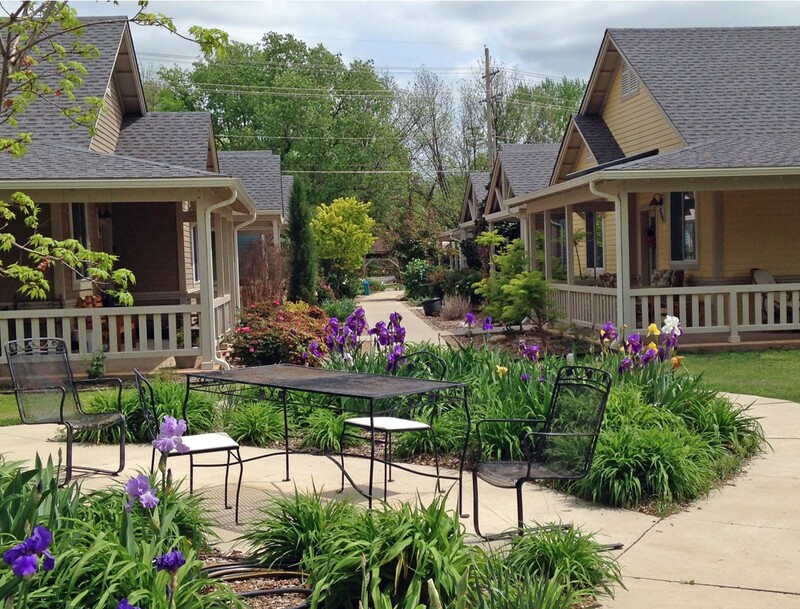 Visit our website to meet the newest senior cohousing community and the first in Oklahoma! Better yet, come to visit Stillwater in beautiful north central Oklahoma and see why Oakcreek and Oklahoma are MORE than OK. Check website (www.oakcreekstillwater.com) for details on the two available homes for sale by owners.